Welcome home! You’ll love this house nestled on a friendly cul-de-sac in the gated neighborhood of Rockford Township. The flowing floor plan, custom features, and charming character of this home will never go out of style. 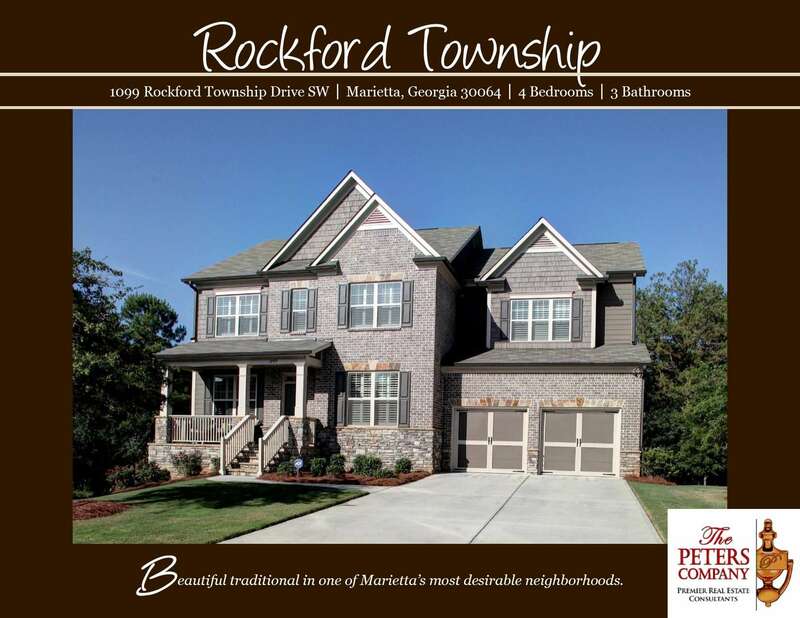 The close proximity to I-75, I-575, and I-285 makes it convenient to and from any direction. You’ll also have easy access to the highways, byways, and activities that make this location such a well loved destination! Being in this popular area of Marietta means you can enjoy the many nearby restaurants and shopping spots on the Marietta Square, which is only about two miles away! Loaded with craftsman touches, custom features, and great flowing floor plan. Kitchen features stained cabinets, granite counters, stainless steel appliances, pantry, and spacious breakfast area. Gleaming hardwoods throughout main level. Den has gas starter fireplace with stone surround. Bedroom and full bathroom on first floor are ideal for guests. Master suite is a true retreat including trey ceiling and large walk-in closet. Master bath has double vanities, garden tub, and separate shower. Unfinished basement is waiting for your ideas. Deck overlooking the large backyard is perfect for outdoor enjoyment. Community amenities including swimming pool and playground.